Let us help you gain real results! With our "in-the-trenches" thinking and market intelligence, combined with our industry reach, our programs will deliver the best for your product and the strongest results for your brand. *All rates and specs are subject to change. AAM audit reports provide independent, third-party verification, so you can be confident your media decisions are based on indisputable circulation facts. 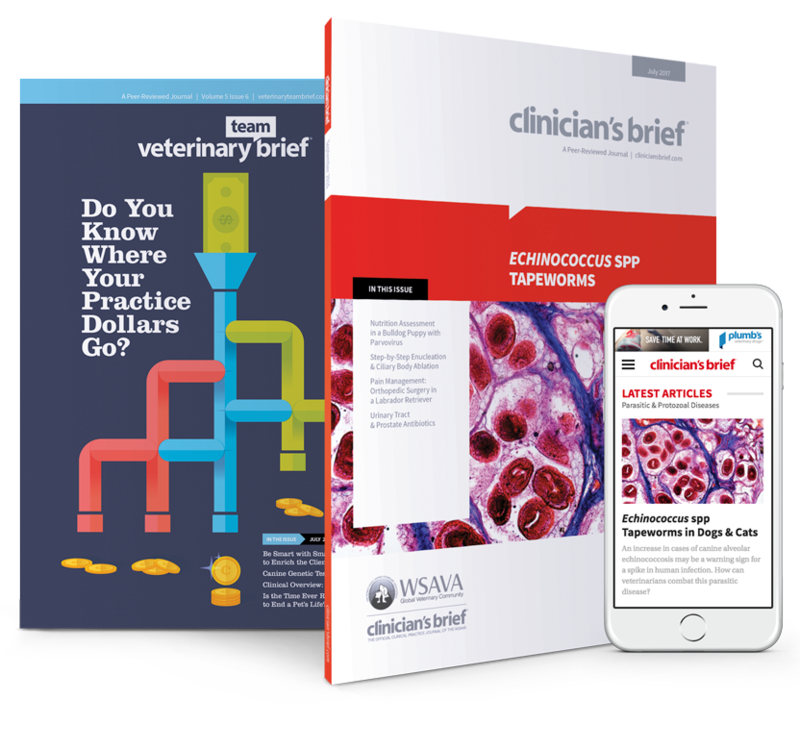 See why Clinician’s Brief and Veterinary Team Brief are the leading publication brands with veterinary professionals. © 2019 Educational Concepts, L.L.C. dba Brief Media ™ All Rights Reserved.